4-in-1 three phase energy meter. Uses non-invasive split-core transformers. We develop and produce electronics for industrial and home automation under the brand name Wiren Board. 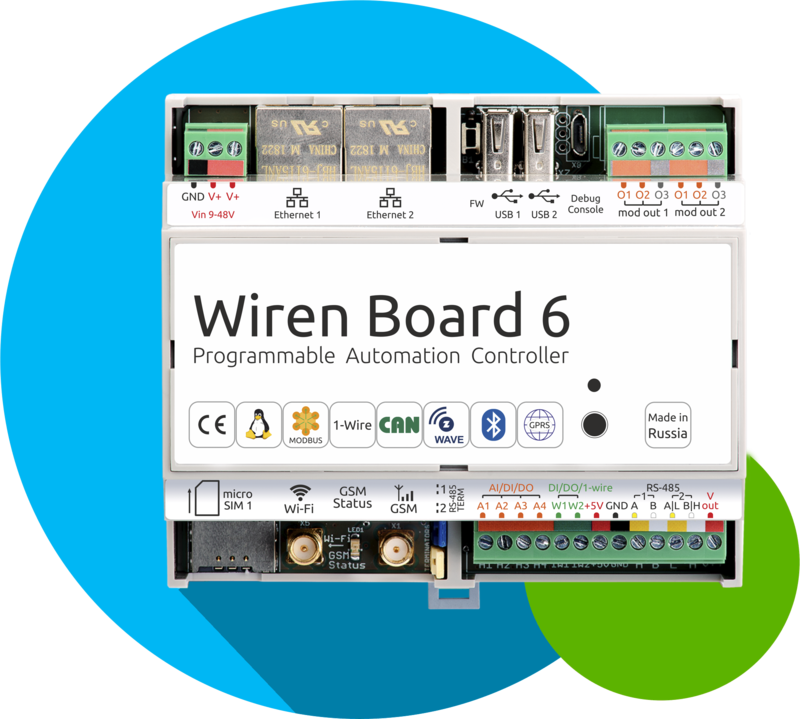 Reliable Wiren Board controllers are used in cases of monitoring server and climate equipment, dispatching and collecting data from metering devices, as the main device for the"smart home". Controllers can work as part of the cloud platform "WB Cloud". The equipment is designed and assembled in Russia. Now users can update the WB-MSW, WB-MIR, WB-M1W2 and WB-MWAC firmware themselves. Remote firmware update for other devices will be provided soon. New firmware will expand the functionality and fix old bugs. Updating is possible from a computer or directly from the Wiren Board controller for the running installation, you do not need to turn off any of the devices. The WB-MSGR gas sensor​ is discontinued. We discontinue the production of the WB-MSGR gas sensor because of low demand. Instead of a single sensor there will be an option "detection of combustible gases" for WB-MS and WB-MSW v.3 sensors. Do not put WB-MSGR in projects, the remains are sold out. The model will be available for order within 3 months. Dear colleagues and partners, see you on our stand at the International Smart Energy Summit 2019 exhibition. Do you want to know what happened before?